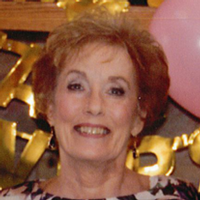 Linda “Lynne” (Umstead) Salay age 71 of Mentor, died on Tuesday November 20, 2018 at David Simpson Hospice House, Cleveland, OH. She was born October 23, 1947 in Cleveland, OH. Survivors include her husband of 48 years: John R. Salay. Son: Kyle (Lindsay) Salay, granddaughter: Lydia Marie Salay and her dog: Henry. Preceding Lynne in death are her parents: Layton and Mildred Umstead and brother: Lowell Umstead. The family will receive friends 3-5pm., Saturday, November 24, 2018 at the Brunner Sanden Deitrick Funeral Home & Cremation Center, 8466 Mentor Ave. Mentor.